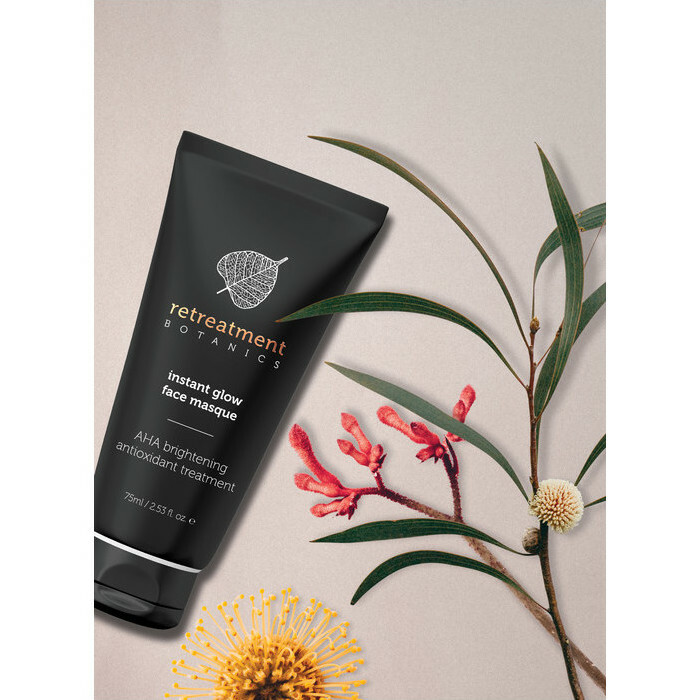 Suitable for all skin types, this Retreatment Botanics Instant Glow Face Masque is a rich, clay, face mask loaded with skin-nourishing, botanical ingredients and featuring extracts of Kakadu Plum, Emu Apple, Kale and Buriti Fruit, all of which are packed with antioxidants and vitamins. 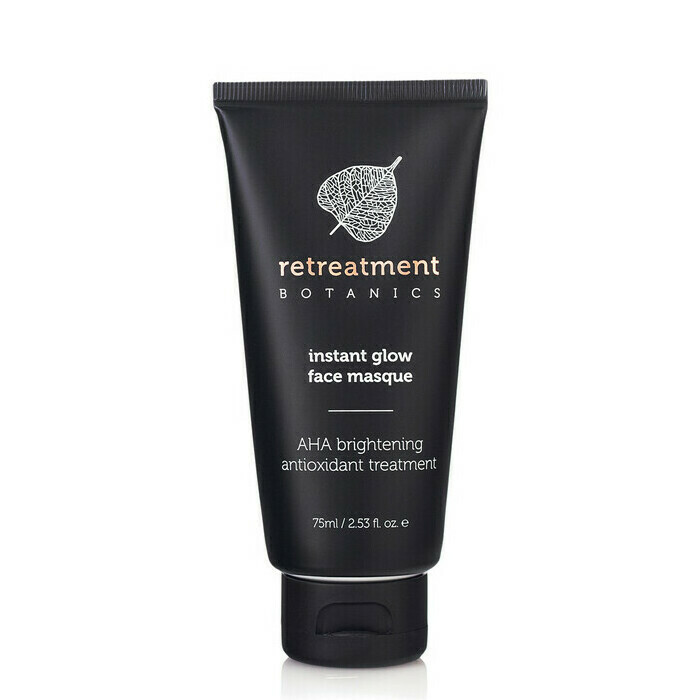 Formulated to reveal smoother, more radiant skin, it also contains Papaya enzymes and fruit acids to remove dead skin cells that can dull the complexion, Kaolin clay to remove impurities, Bilberry Extract to promote circulation, and a luscious blend of nutrient-rich oils, including Avocado, Macadamia and Camellia. Aloe Vera, Avocado Oil, Camellia oil, Gotu Kola, Kakadu Plum, Lavender, Lemon, Macadamia Oil, Mandarin, Sea Buckthorn, Sweet Orange, Vitamin E.
Step 1: Apply a smooth, even layer to freshly cleansed skin. Avoid the eye and lip area. 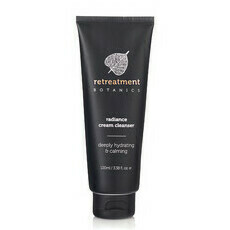 Step 2: Relax as you allow the mask to nourish your skin for 15-20 mins. Step 3: Rinse with warm water and a soft face cloth. Repeat once per week for maximum benefit. 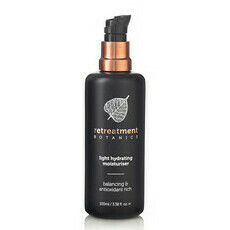 Moisturiser into face, neck and décolletage. Tip: Set aside a time every week for a relaxing mask ritual. Think of it as dedicated “me time”, a time to restore and rejuvenate your mind and body. Pick a day of the week so it’s easy to remember. 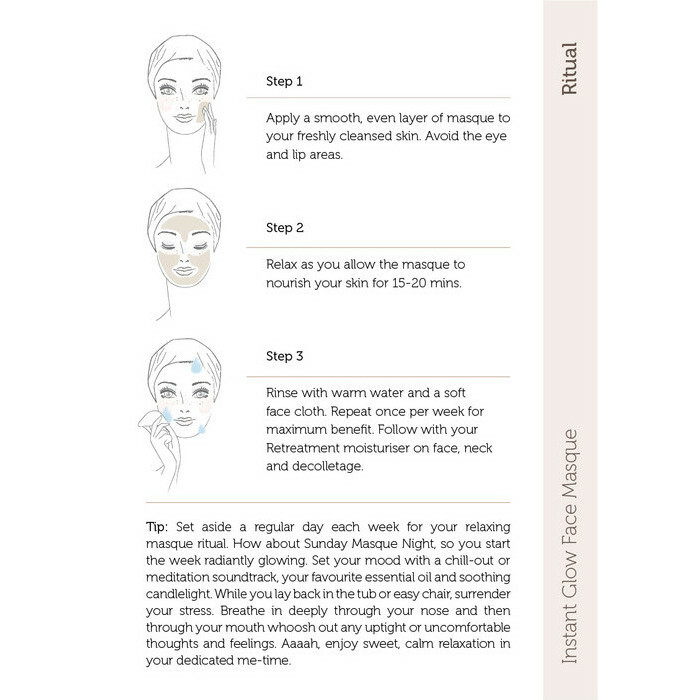 How about ‘Sunday Masque Night’ before the week starts, so you can start the week glowing? Let all your stress melt away while you mask. Set the mood with your favourite soothing spa soundtrack, light a candle, or even slip into the tub while the mask adds a radiant glow to your skin. Works well for my skin. Look forward to trying more of this range. Love this masque! 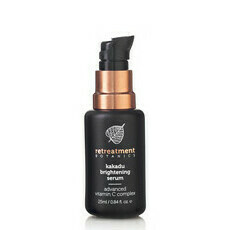 Gentle yet very effective - leaves your skin hydrated after and not super dry and stiff like some other masques. Truly does leave your skin glowing right after use. Highly recommend. Smells lovely and makes me feel like I've been to a gorgeous day spa and been pampered, but without the big price tag!